Wild Fig Media offers a personalised and professional seoconsulting service to all small business anywhere in the Lancashire area. With our high rankings on Google, we like to think of ourselves as one of THE "SEO consultants in Lancashire" to go to in order to improve your small business seo or search engine optimisation rankings in the major search engines. In Addition to our organic seo consulting services, we also offer social media campaigns and consulting, web design and development, Email marketing a short animated video for online marketing purposes. 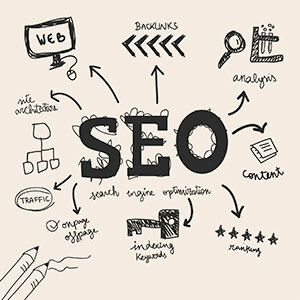 One of our core strategies as SEO consultants in Lancashire is to facilitate the upward movement on the search engine rankings for companies that are in the micro and SME markets with a fixed fee seo consulting or SEO campaign fee to manage your online content and strategy. With the number of websites that are growing daily on the internet that are looking to grow their market share in the Lancashire webspace, it is essential that this area of internet marketing is undertaken in a manner that reflects, consistent and engaging manner, as specialists seo consultants we will sit down with you and explain in plain English what the strategy will be, what the costs will be and in so far as possible, an indication of the time period to get there.